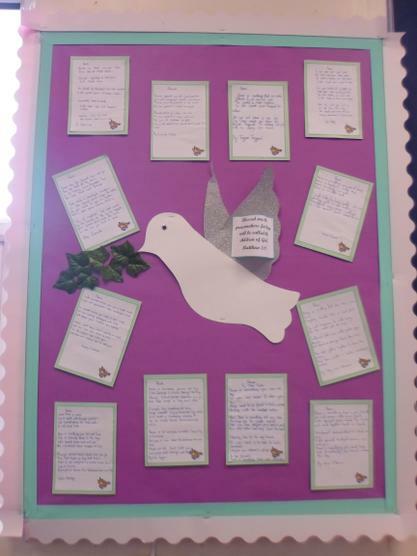 We have decorated some crosses to bring us hope, peace and joy throughout our time in Year 5. 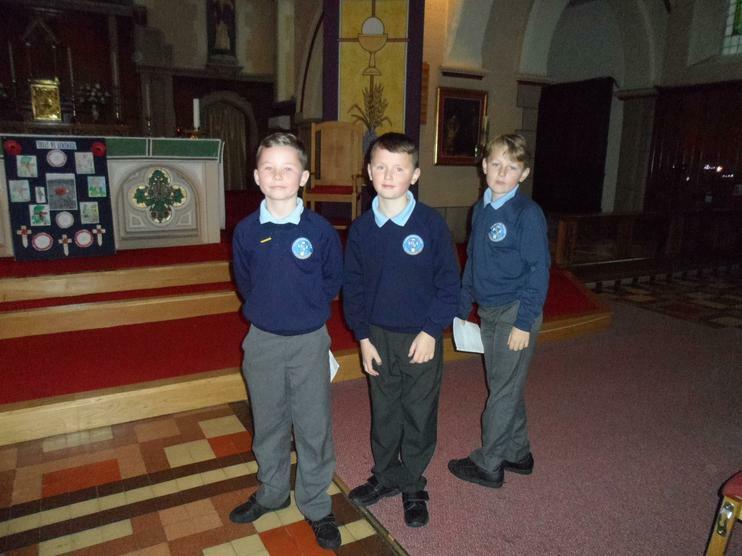 When we hung them on the tree, we said a special prayer and can use the tree at any time throughout the school day. 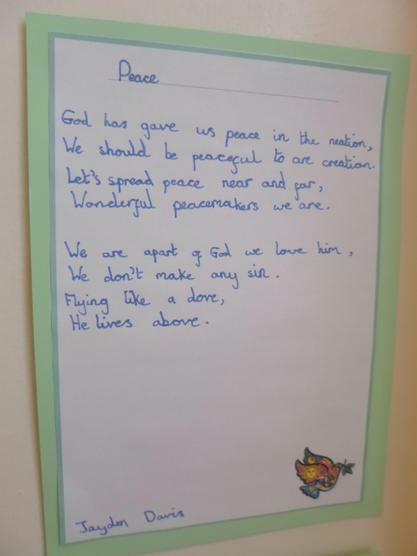 Taking on the words of Paul, we looked at how we can be peacemakers. 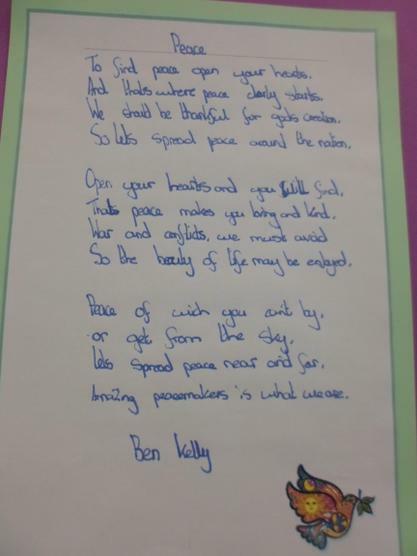 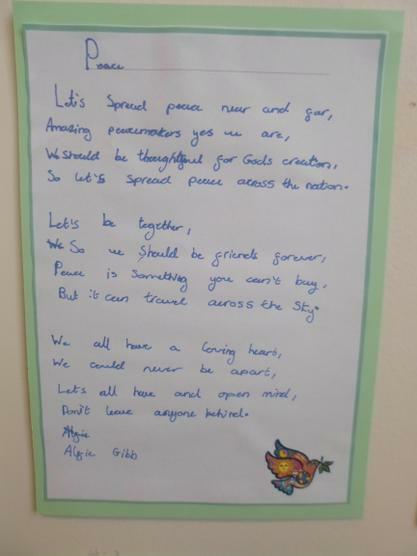 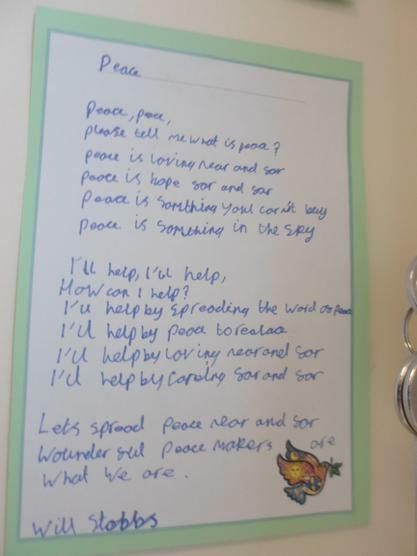 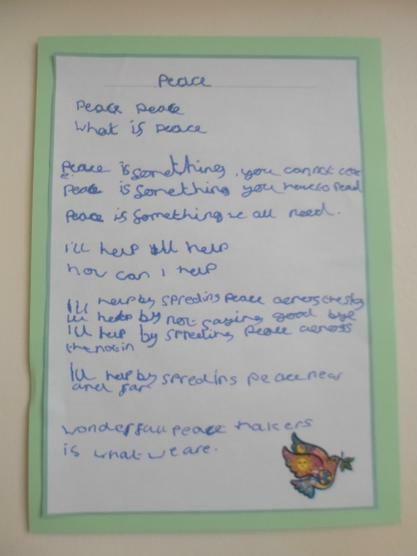 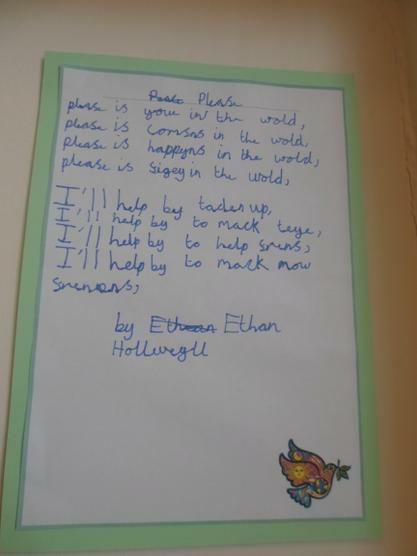 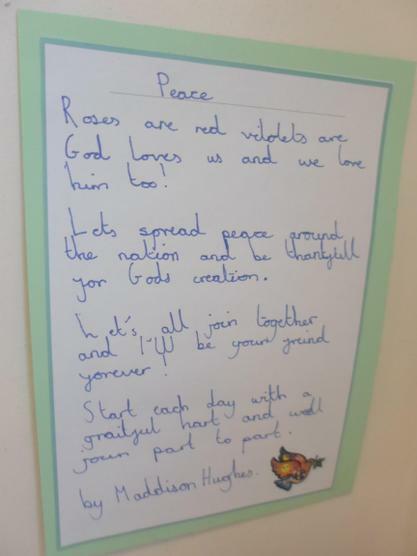 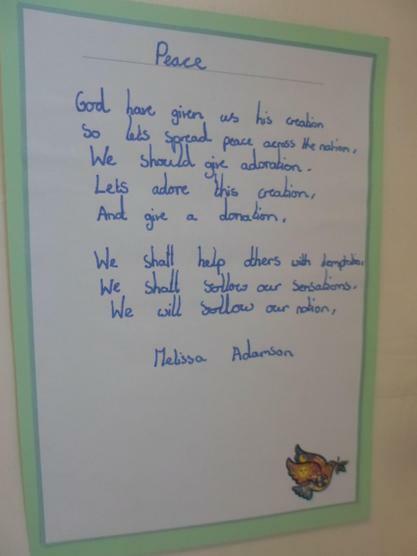 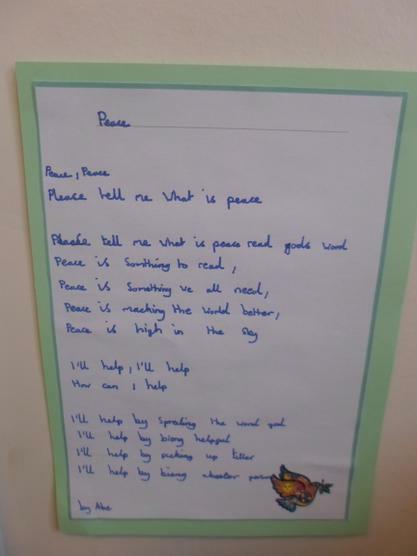 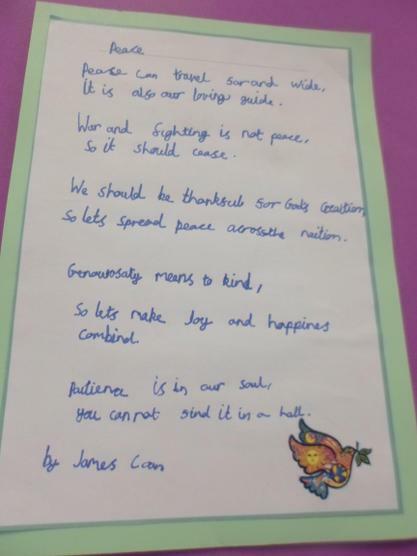 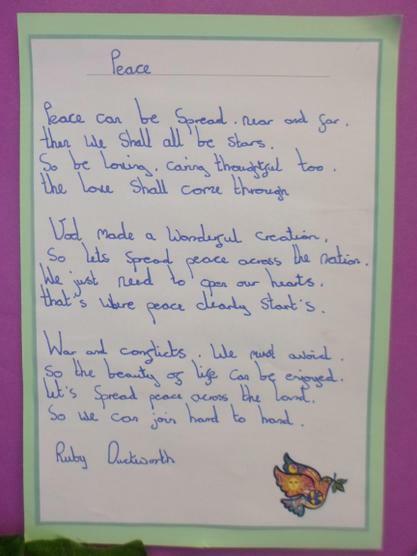 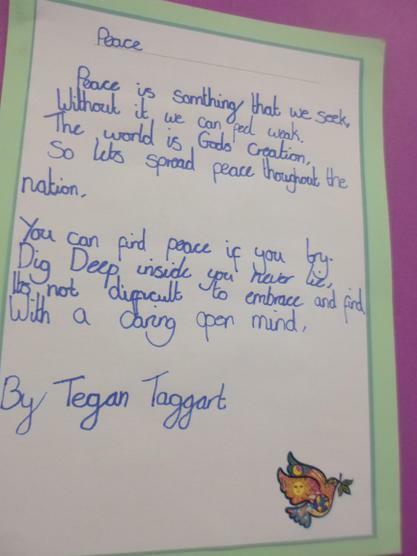 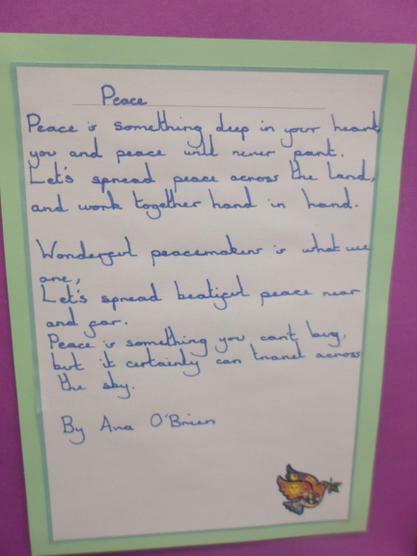 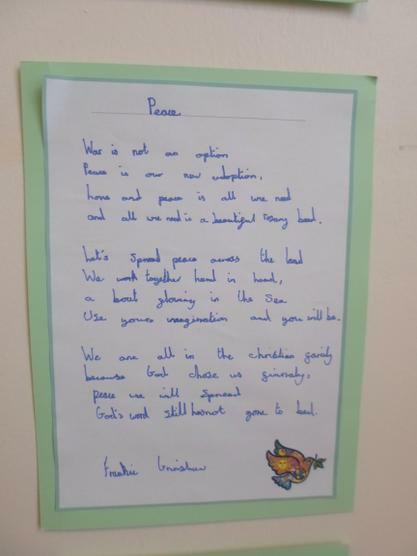 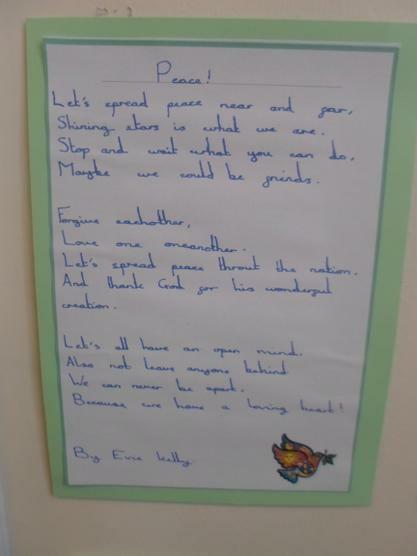 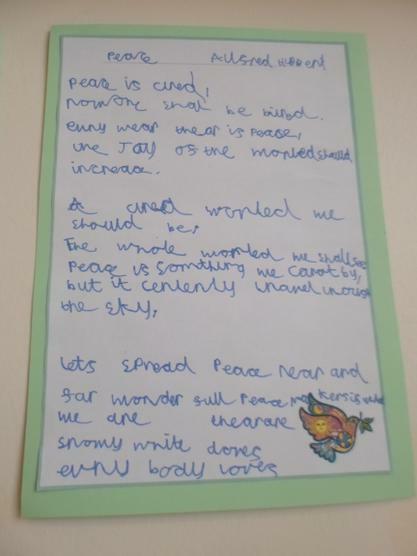 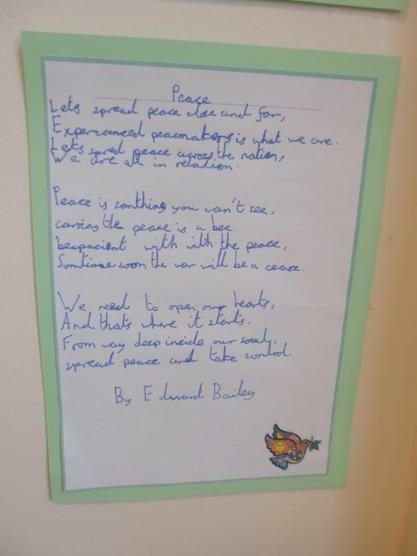 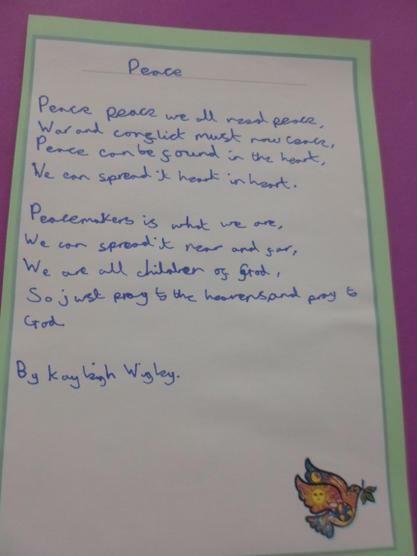 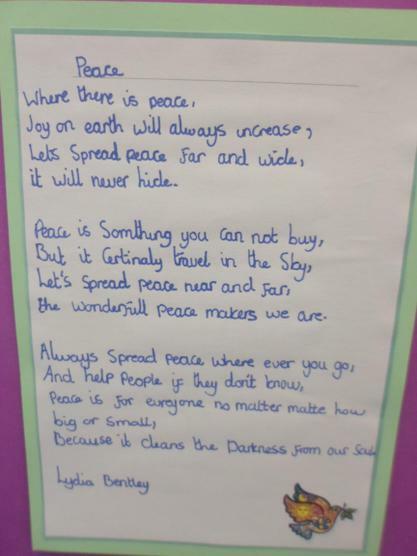 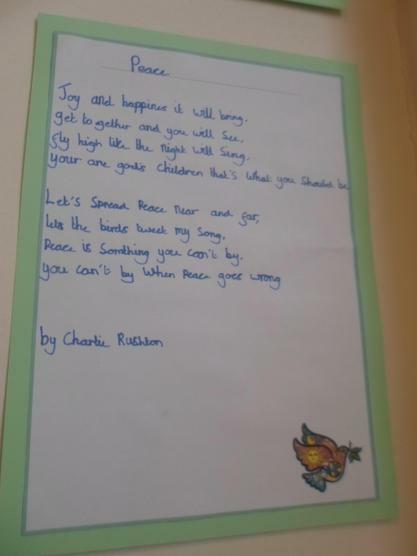 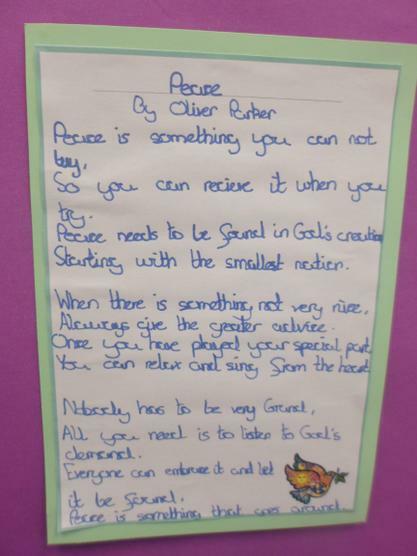 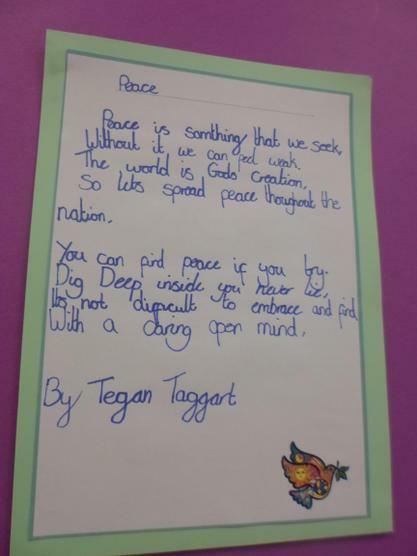 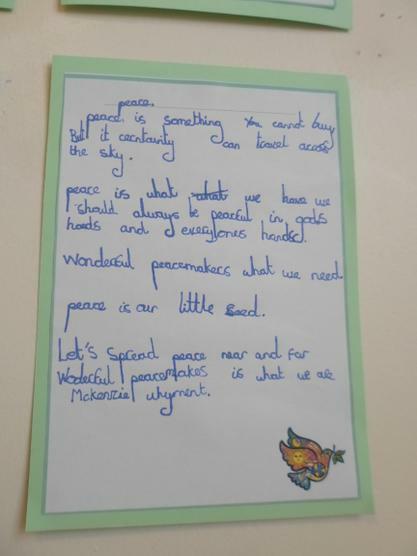 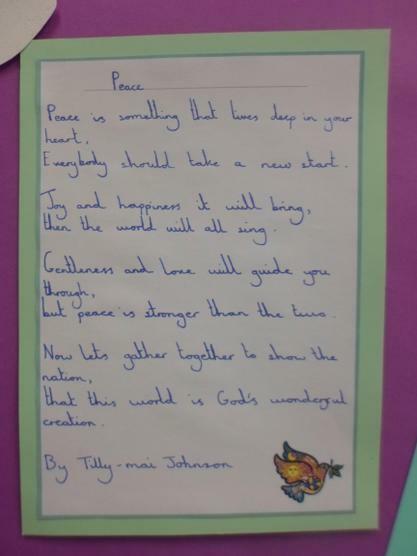 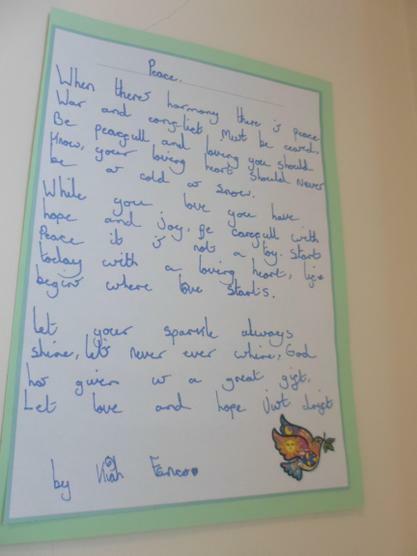 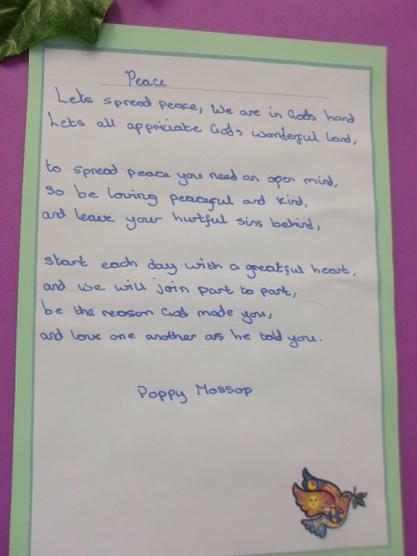 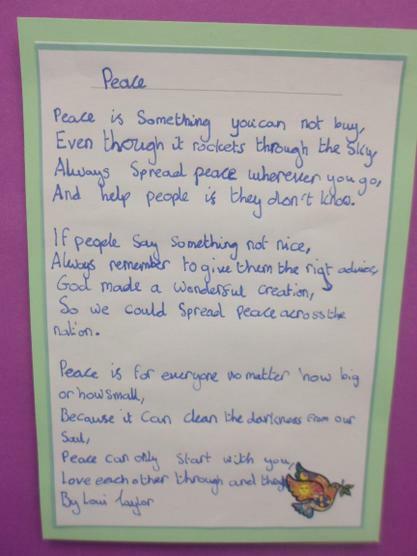 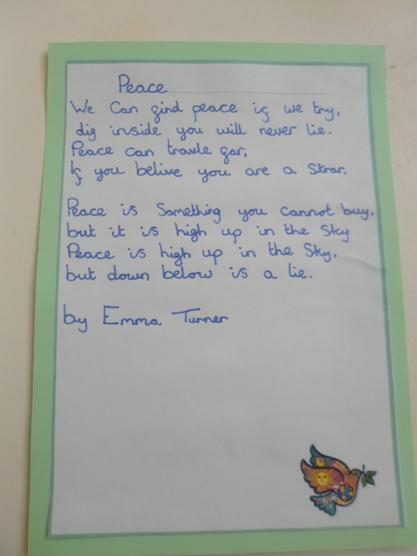 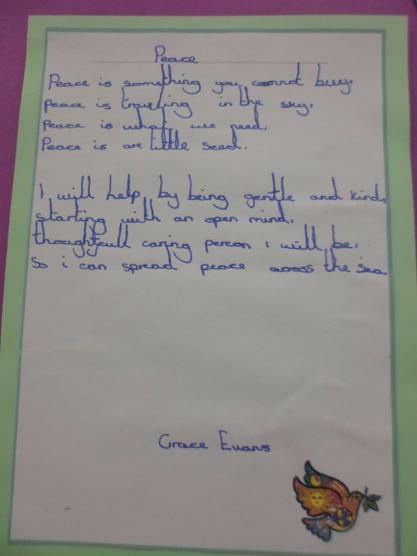 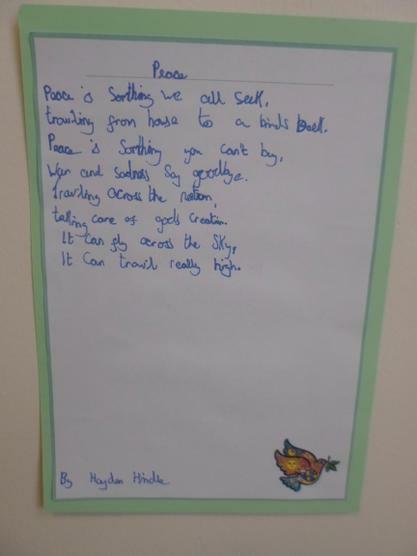 We wrote some outstanding poems about peace that are certainly to be proud of. 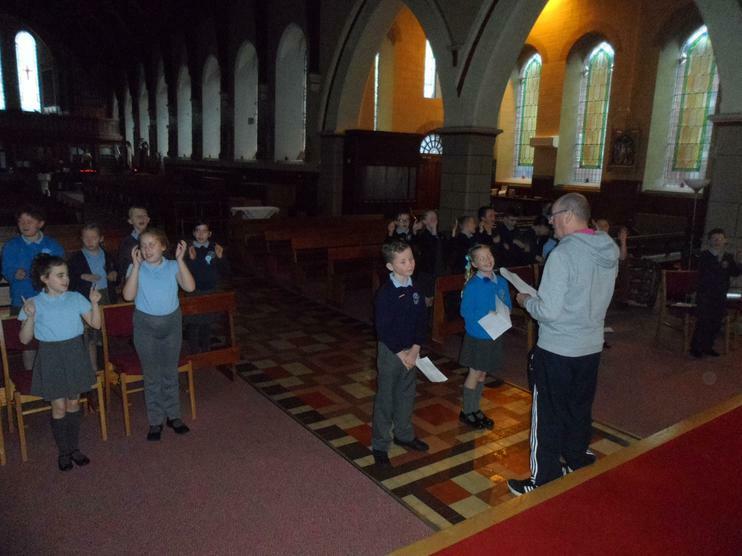 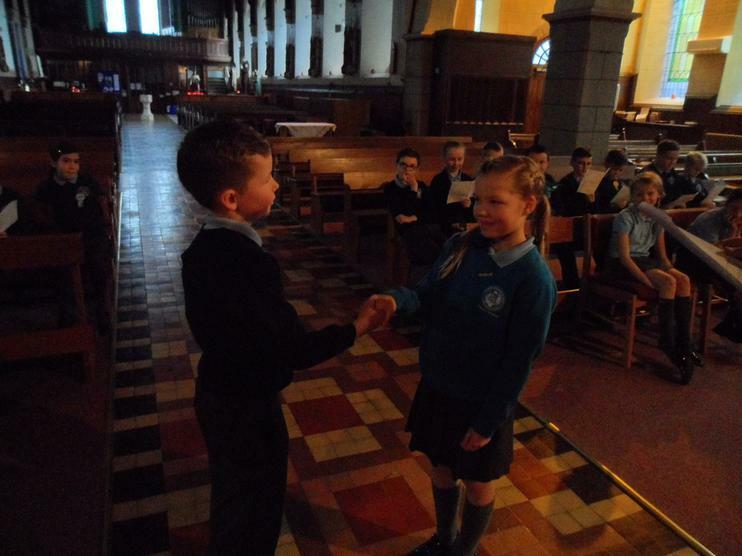 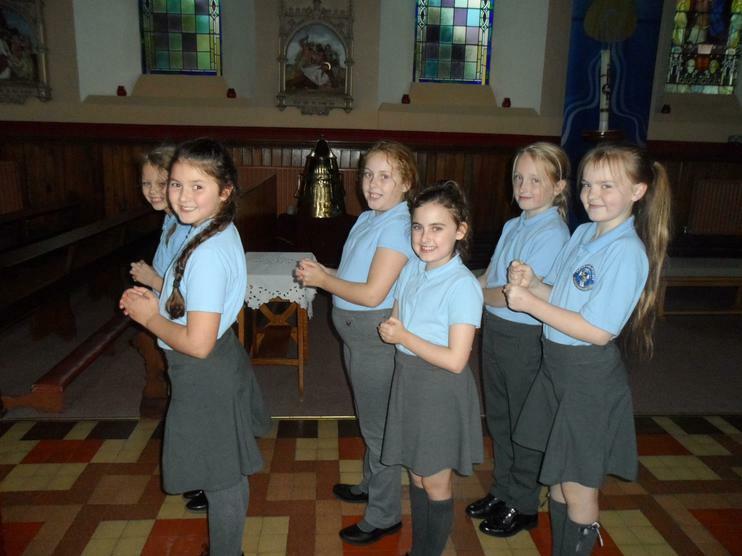 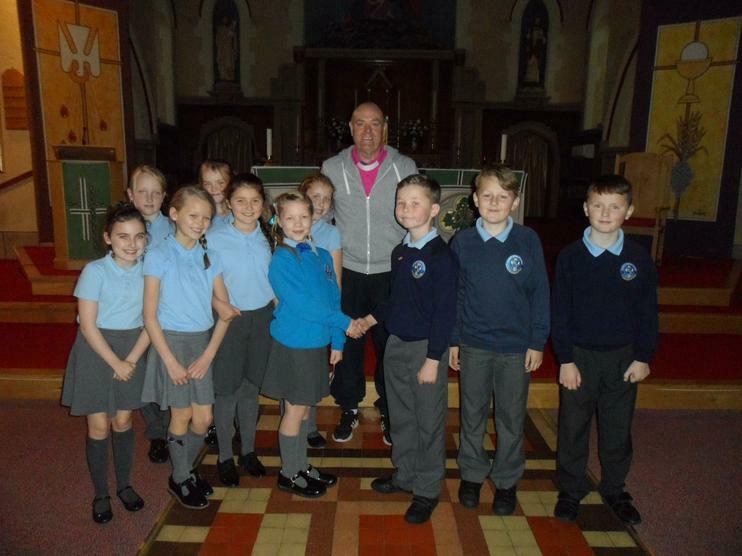 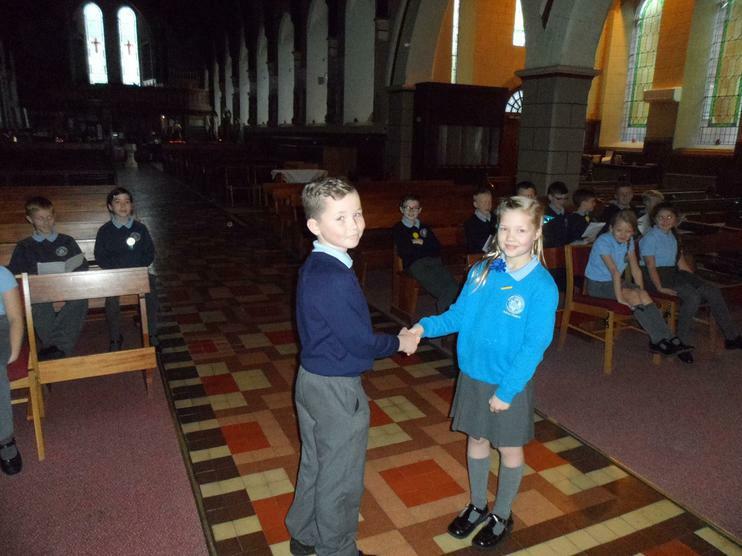 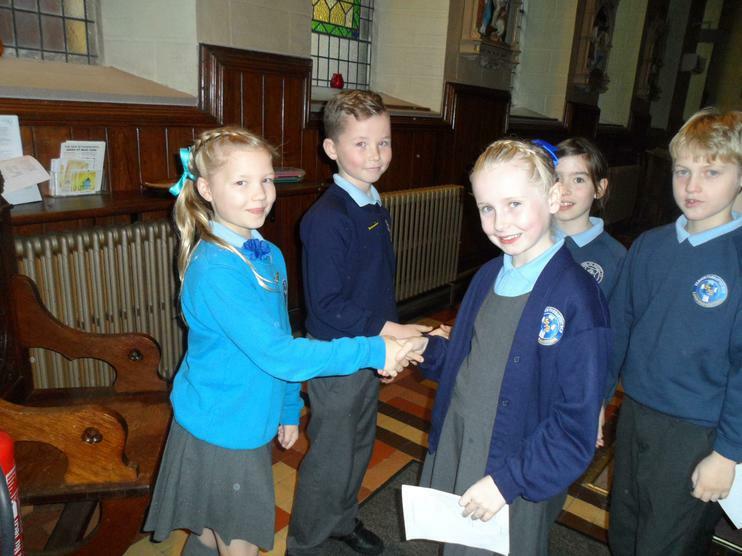 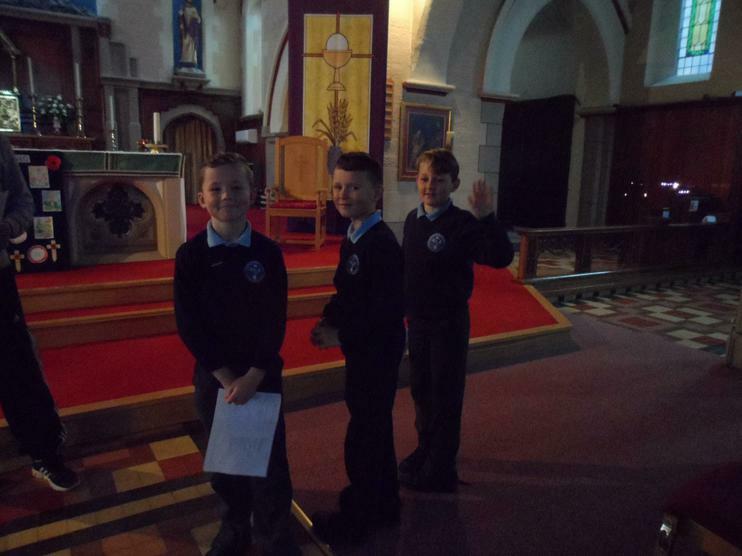 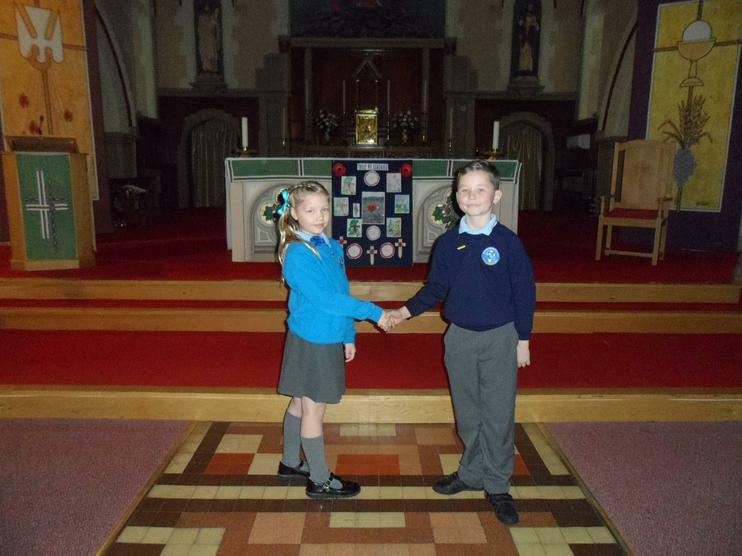 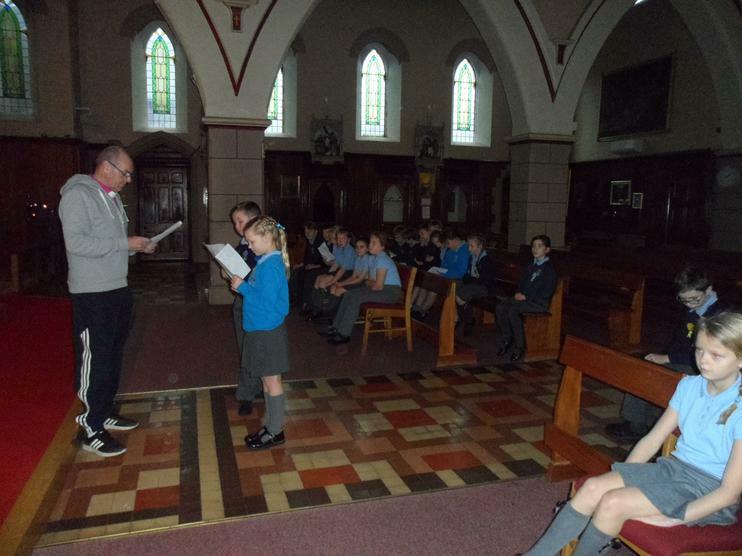 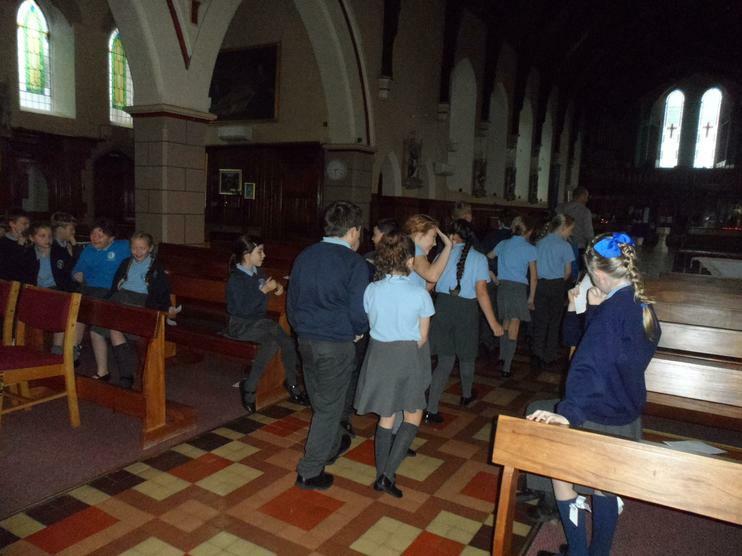 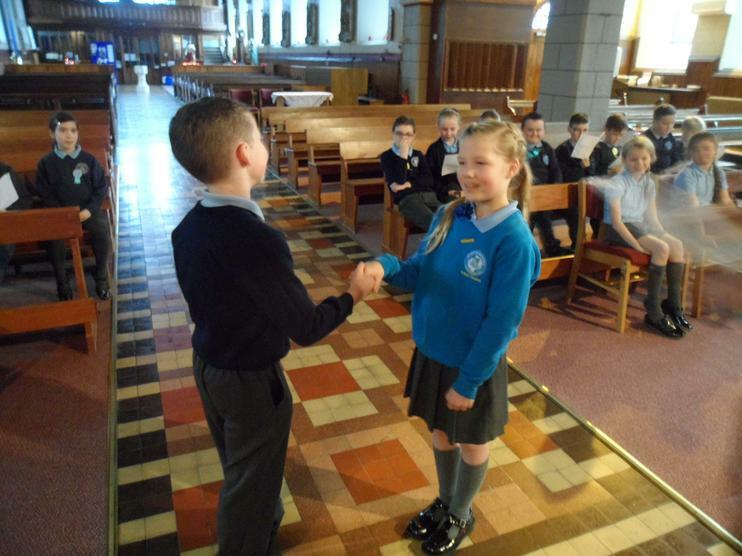 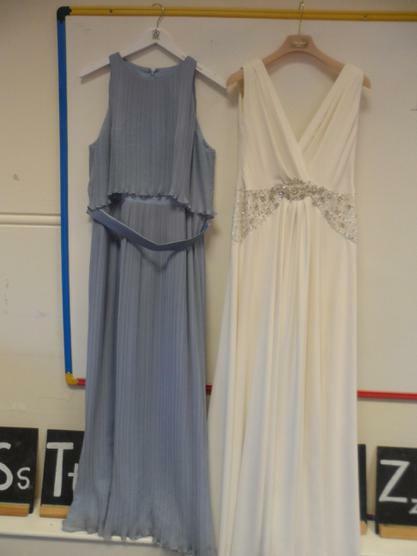 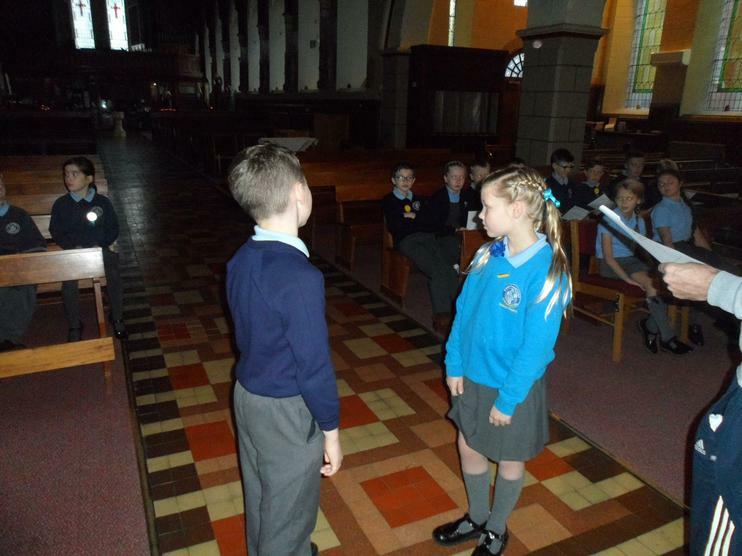 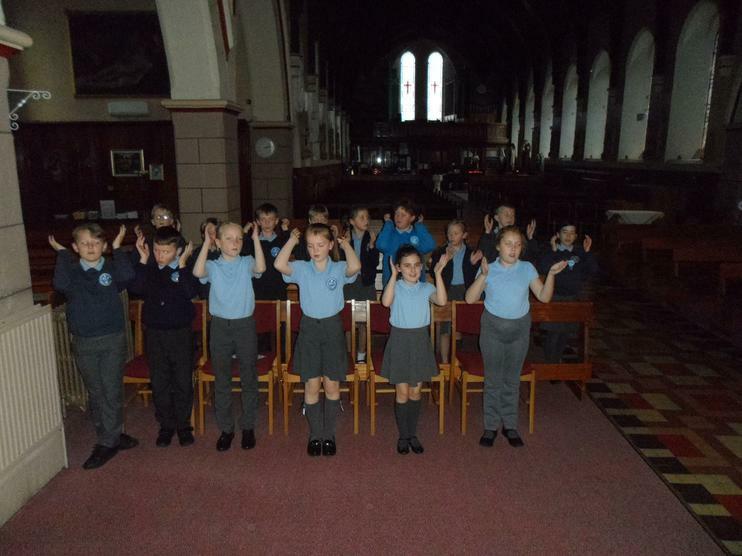 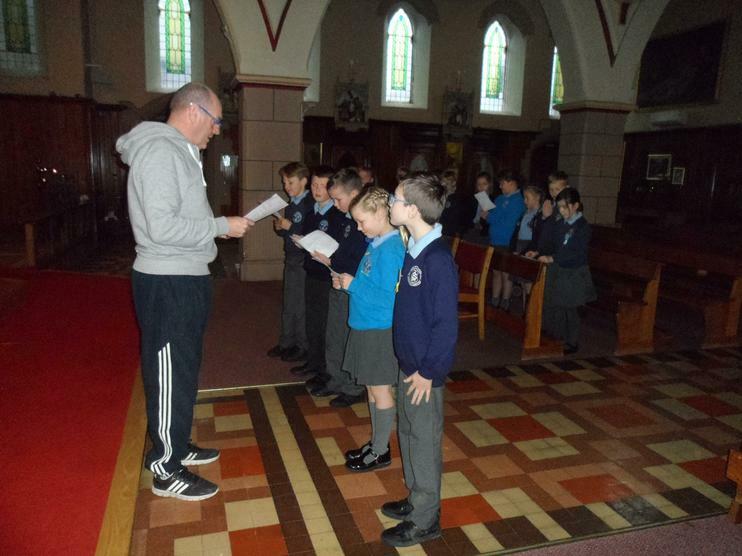 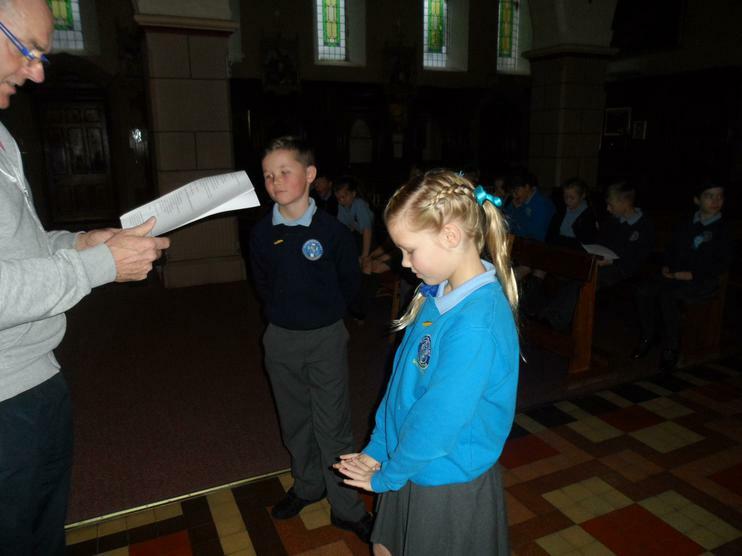 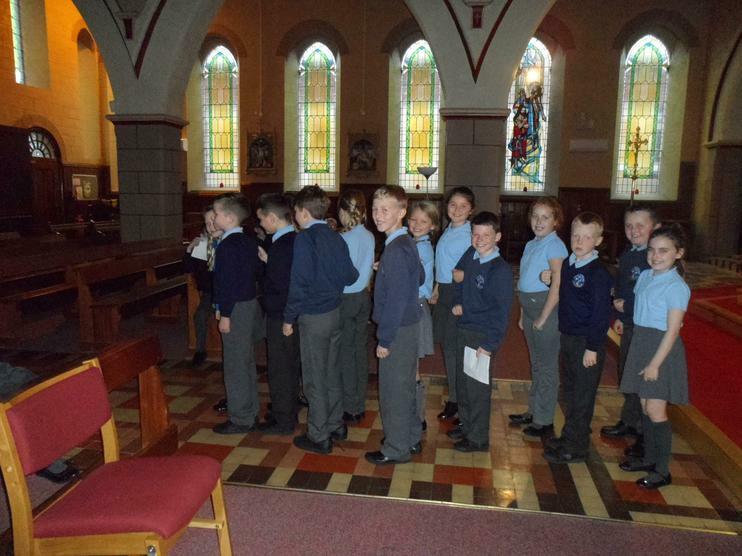 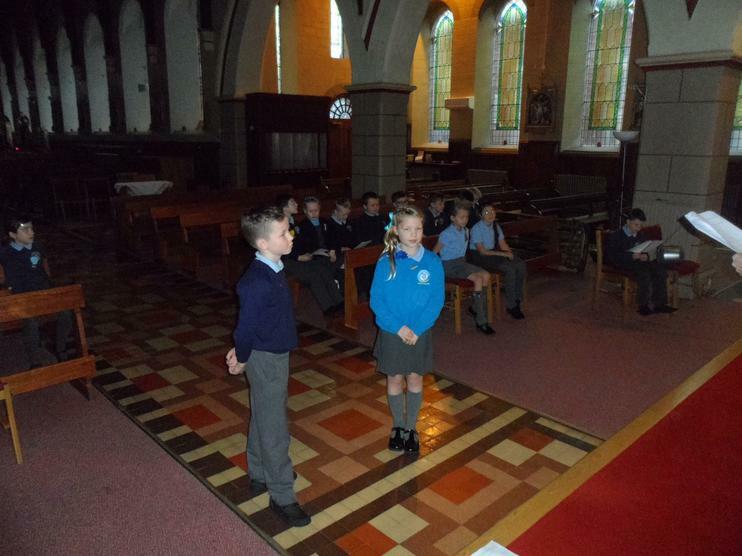 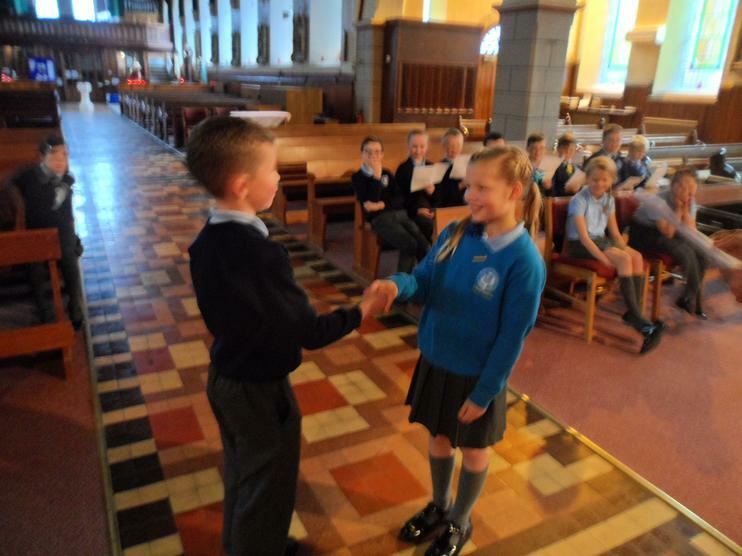 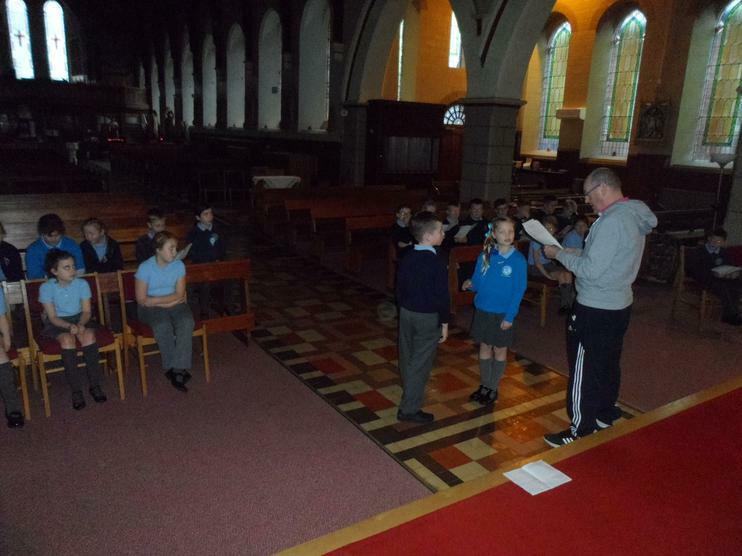 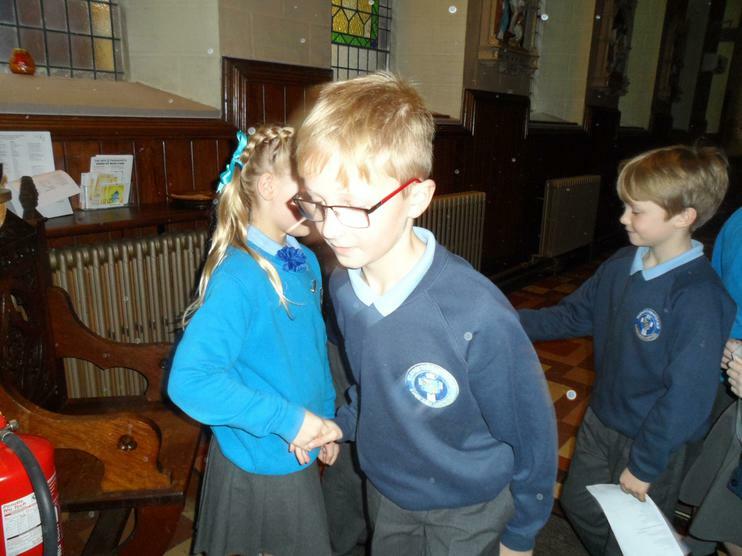 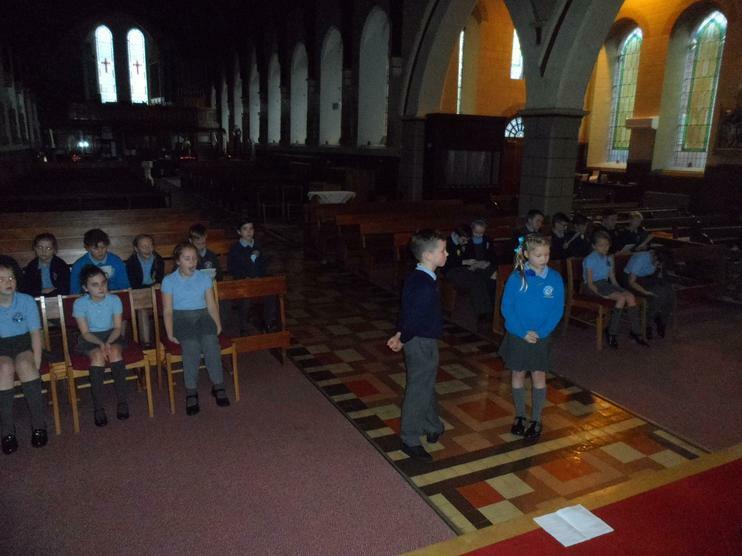 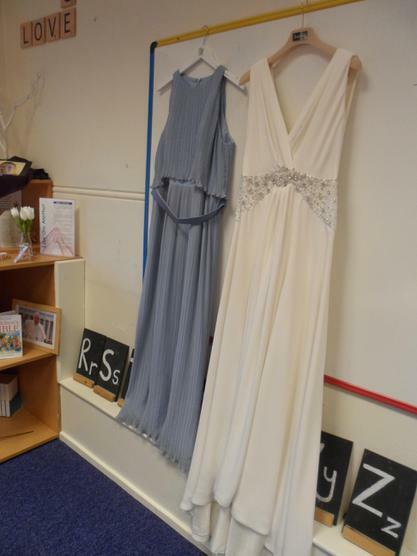 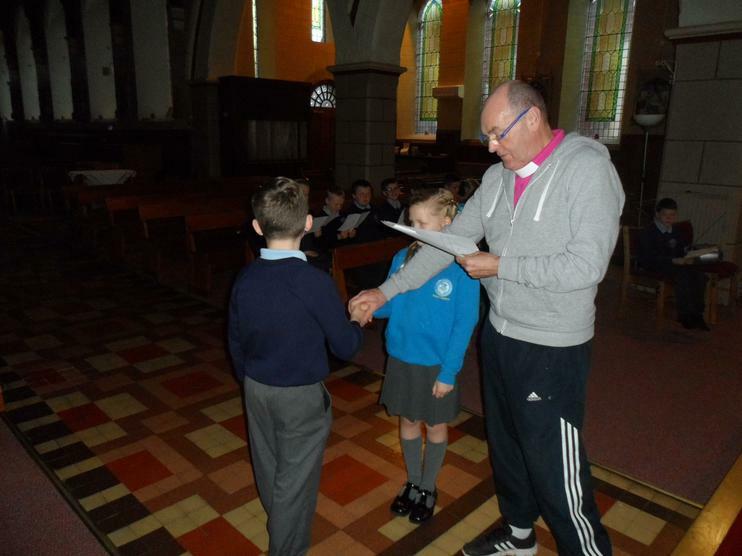 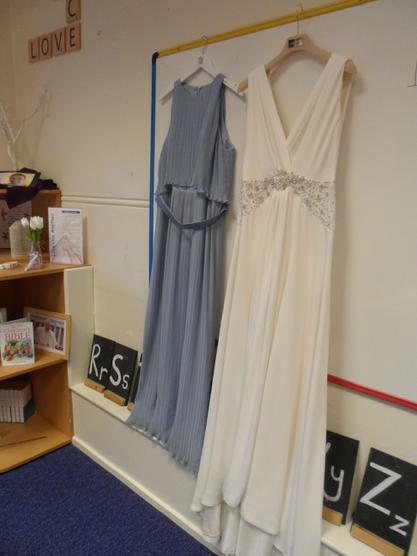 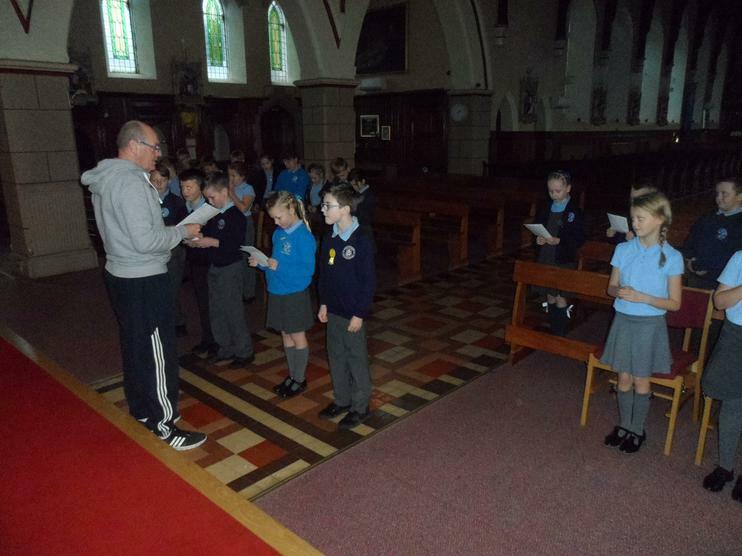 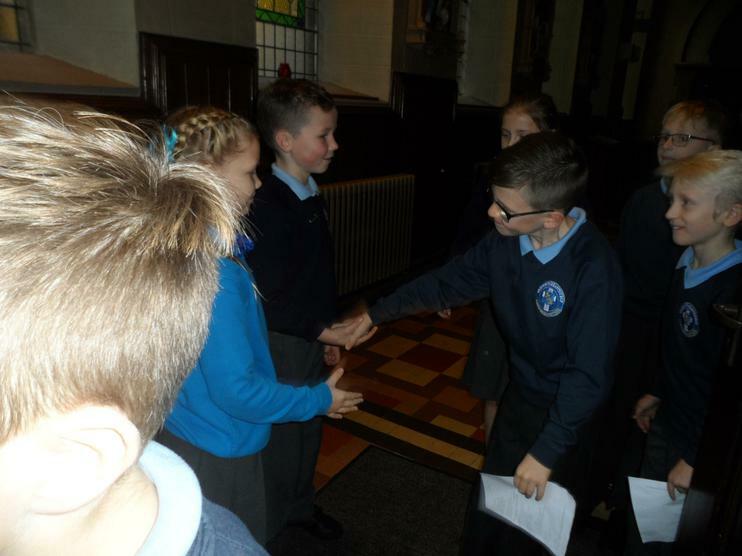 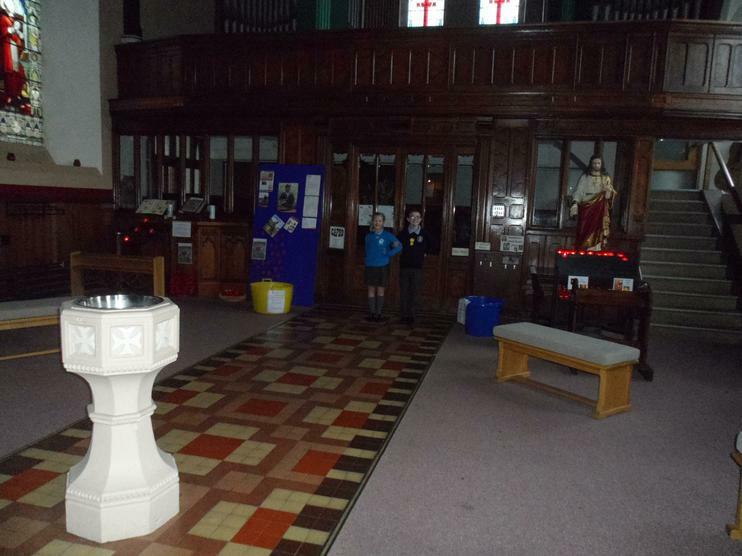 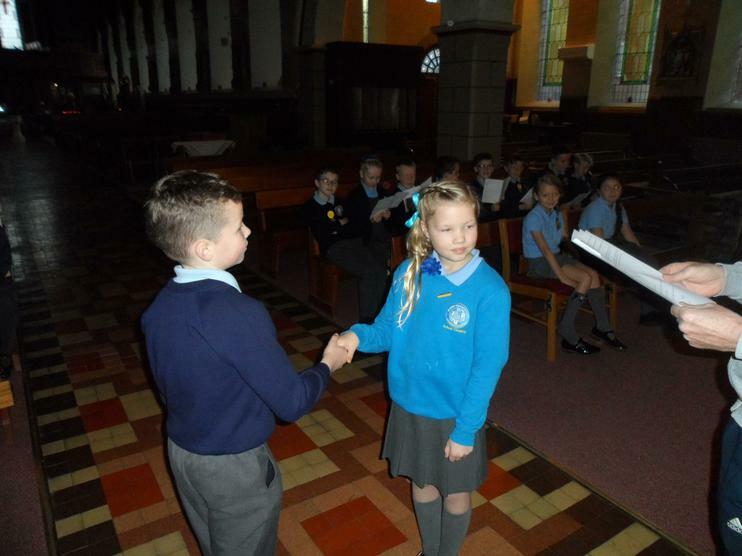 We have been looking at the Sacrament of Marriage and had a great afternoon re-enacting the ceremony. 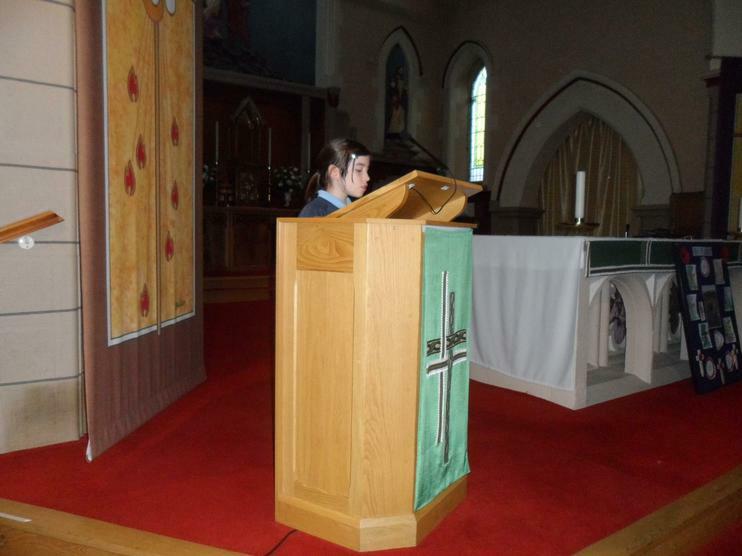 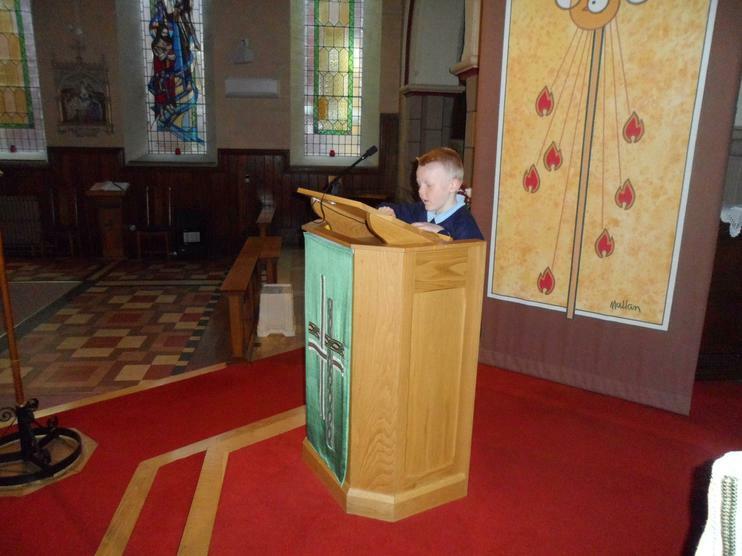 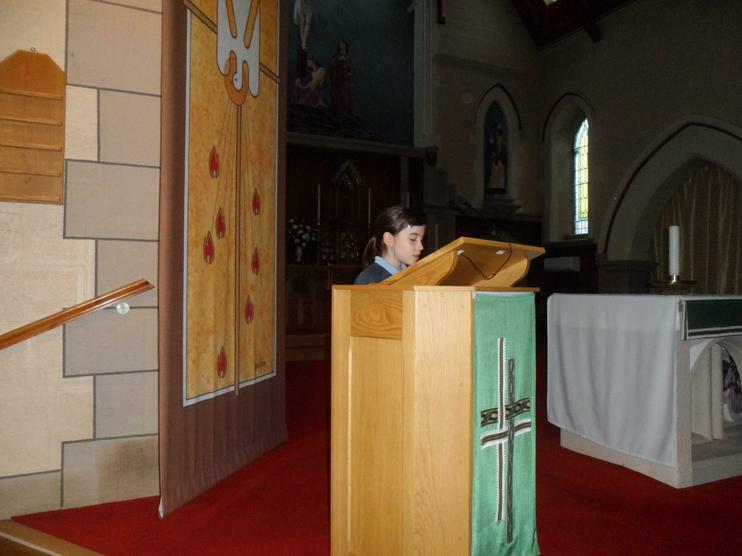 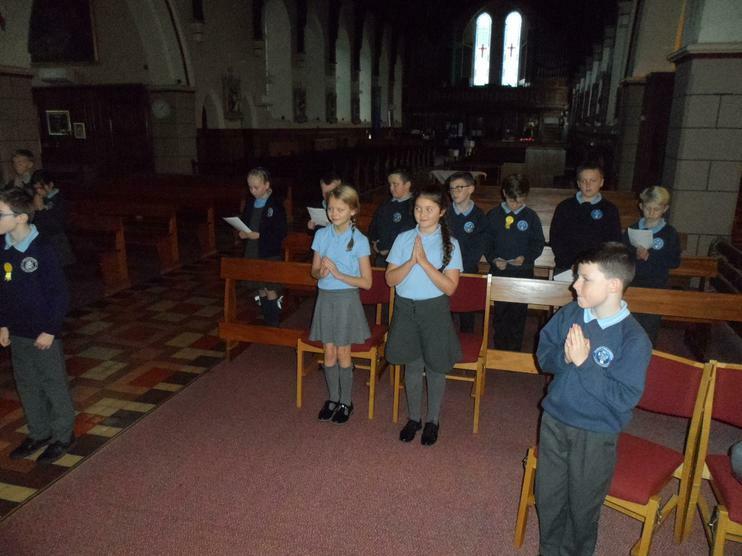 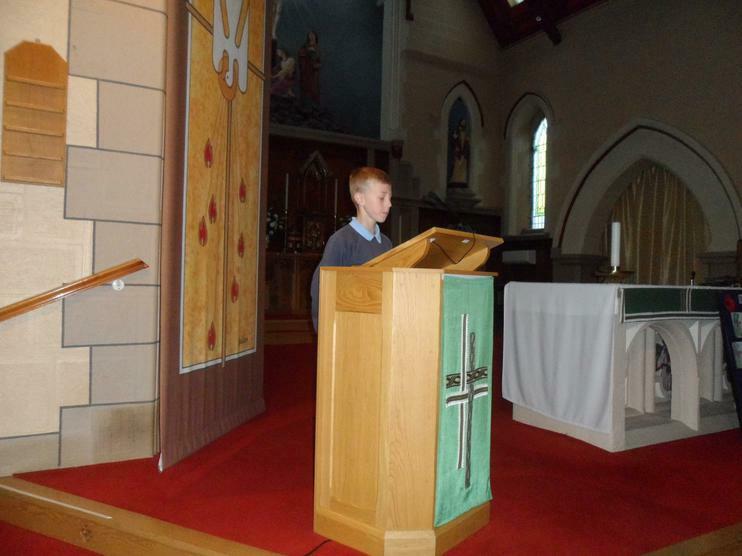 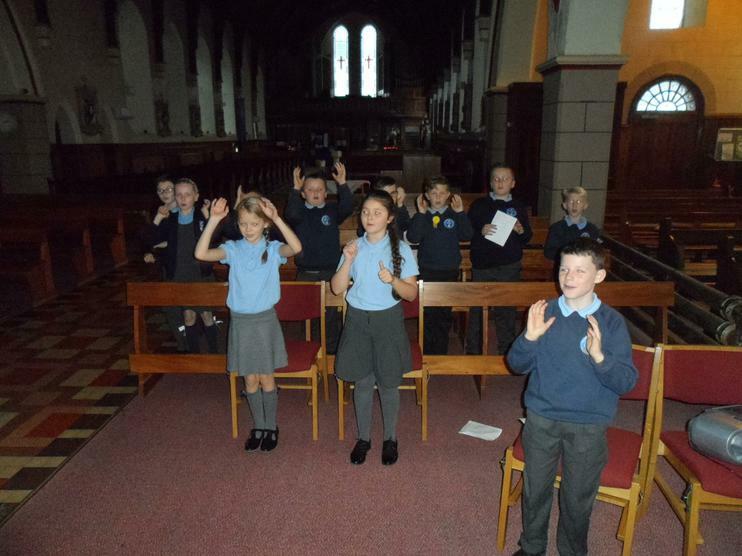 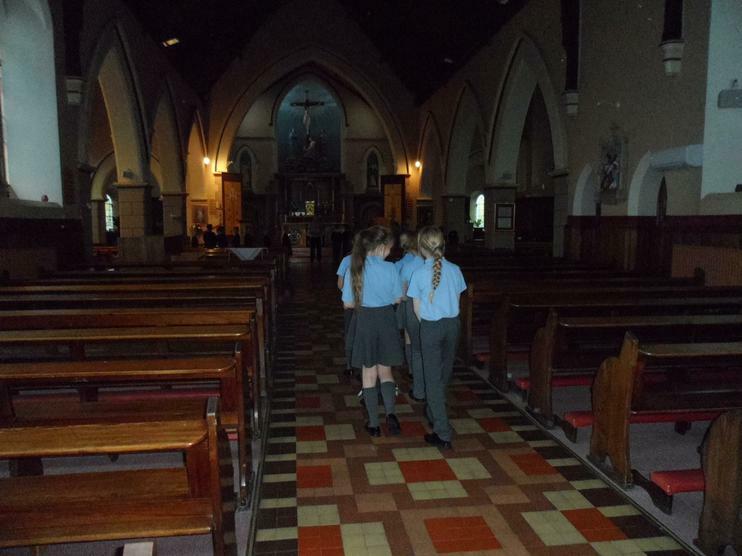 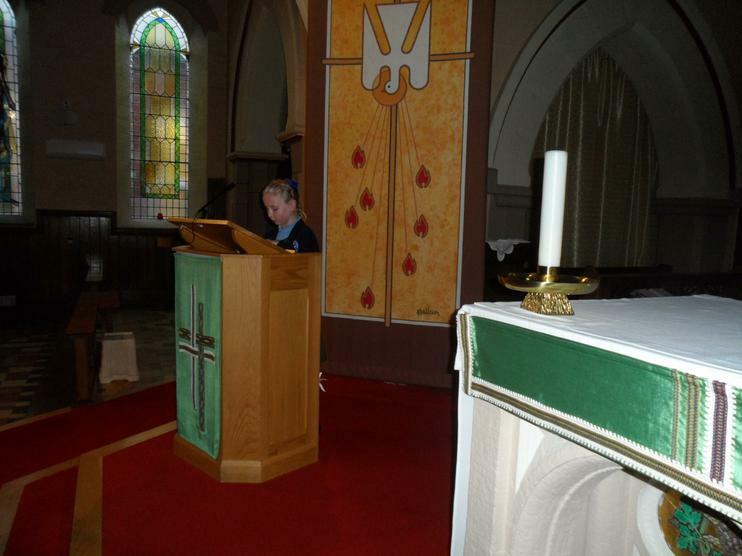 We sang hymns, said prayers and listened to beautiful readings.